Clear your calendar for Saturday, March 17 at 7pm to enjoy fabulous food from 15 of the best chefs on the island. Clear your calendar for Saturday, March 17 at 7pm to enjoy fabulous food from 15 of the best chefs on the island along with free-flow beverages, prizes, entertainment and more – all in support of children’s education. Pop by this exclusive event to enjoy a vast selection of mouth-watering dishes from the talented chefs at Anantara Layan Phuket Resort; Anantara Vacation Club Maikhao Phuket; Bodega & Grill at Angsana Laguna Phuket; DeDos; Firefly at The Pavilions; Café Del Mar Phuket; Kata Rocks; Dusit Thani Laguna Phuket; Nommy’s Frozen Yogurt; Metzo’s Bistro & Bar at Outrigger Laguna Phuket Beach Resort; Novotel Phuket Surin Beach Resort; Panache at Angsana Villas Resort Phuket; SALA Phuket Resort and Spa; Two Chefs Bar & Grill and Vanilla Sky Bar & Gastro Pub at Cape Sienna Gourmet Hotel. 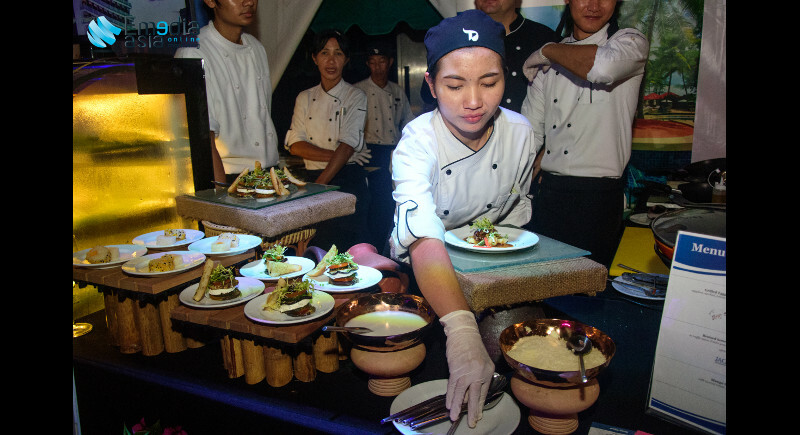 To match the impressive range of culinary creations, beverages will be freely flowing from generous sponsors at Andaman Wine Club Phuket, BB&B, Beervana International, Boncafe Thailand and Wine and Taste! While the food and drink selections are sure to be stars of the show, Creative Concept will once again wow guests by transforming the venue. Guests will have the opportunity to bid on amazing silent auction prizes or try their luck at the raffle draw. Some of the generously donated prizes include stays at Anantara Kihavah Villas, Maldives; The Nai Harn Phuket; The Grand Hyatt Beijing and many, many more. Throughout the evening there will also be live music and the best dance tunes spun by the one and only DJ Fabuloops! All proceeds go to Phuket Has Been Good To Us, a Thai registered charity providing free English education to over 1,200 underprivileged Thai children in Phuket. This event is proudly Sponsored by Live 89.5.